Welcome to Los Angeles In Home Care! Please use this navigation to explore our many services. 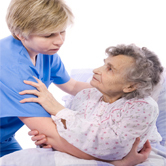 We are dedicated to the well-being of your loved one. We have thousands of positive testimonials, reviews and letters of recommendation. Call us anytime to speak to our live coordinators for same-day or next-day service. Our Service is about Care, Compassion and Dedication. We will meet and exceed your expectation. A-1 Home Care Agency offers a staff of professional and multi-lingual caregivers that are well-experienced in caregiving and deliver compassionate and personal services. Our multicultural Caregivers are CPR-certified, First-Aid trained, have Malpractice Liability insurance and validated references to ensure nothing but the highest standards in safety. At A-1 Home Care, our Case Managers are always available for our clients and Caregivers. We offer services round the clock for any given situation, whether it’s for part-time, full-time, hourly, live-in care or overnight care -- 24 hours a day, seven days a week. 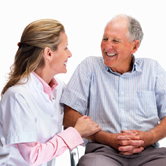 A-1 Home Care looks to supply you with precise and diverse homecare while at an affordable price. Our Certified Nurse Assistants, Personal Care Attendants and Home Health Aides work hard to create a healthy and nurturing environment for our clients and build a lasting companionship for years to come. With over 20 years of experience, A-1 Home Care Agency continues to successfully provide our customers with the utmost respect and dedication since the company opened in 1991. We reach out to the community and have serviced clients from various backgrounds including Jewish, Middle Eastern, Asian, and European. We have been serving the communities of Brentwood, Bel Air, Westwood, Hollywood, Santa Monica, Pacific Palisades, Malibu, and others in the Los Angeles area. Case Managers available to meet with your family and assess your loved one’s needs. Care Plan and schedule arranged over the phone. We can provide same or next day service. Reason #1: When I started making calls on a Saturday morning, many of the agencies were closed and were using voice mail to let potential customers leave messages. They had a live person answer the phone. They gave me all the information I needed in regards to cost, background information of the caregivers and the procedures for hiring. I explained that I wasn't sure how much care my mother needed. That same day, a second person called me back and had caregivers lined up for interviews. Reason #2:A-1 Home Care Agency sent me four caregivers that I could meet and select the best choice for my mother. I made my decision and the caregiver was ready to start the following weekend. Other agencies sent out their "person in charge" - not any caregivers for me to meet. Reason #3:I chose A-1 Home Care is that they allowed me the flexibility I needed to make changes as my mother's condition progressed. In conclusion, A-1 Home Care definitely had some unbeatable prices. Copyright © 2013 A-1 Domestic Professional Services, Inc. & A-1 Home Care Agency. All rights reserved.